For months now, the market has been speculating that the OnePlus 7 will be quite different compared to its predecessor, particularly in the camera department. Although the Shenzhen=based company hasn’t confirmed this information, there are a lot of leaks out there supporting this claim. The latest of which is a new case design for the OnePlus 7 that’s making its round on the web. As rumors would have it, the device is said to have a triple rear camera that will have 48MP, 20MP and 16MP lenses lined vertically at the back of the handset. And as can be seen with the smartphone case, the cutout is indeed positioned downward, Forbes reported. Up top, the case also has a small hole that will likely accommodate the pop-up snapper of the OnePlus 7. This is line with a leak that was released a couple of weeks ago that showed multiple features of the device, including the location of its front-facing camera. If these speculations hold true, then the OnePlus 7 will be quite similar to Oppo’s F11. Under the hood, however, is where things completely separate. Where the F11 has been outfitted with a Mediatek Helio P7 chipset, the OnePlus 7 will supposedly sport the Snapdragon 855. The RAM of the OnePlus 7 will allegedly range from 6GB-12GB; its storage reaching up to 256GB, and the battery has been improved to 4,000 mAH. 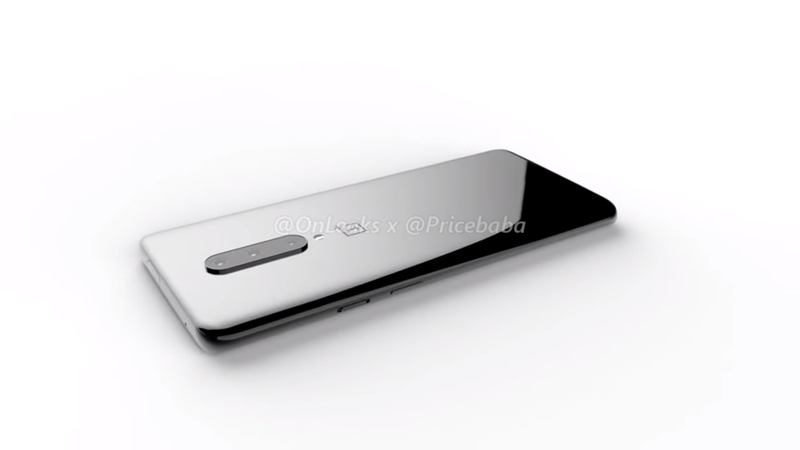 As for the headphone jack, it’s expected that it will not make its way in the OnePlus 7. Instead, the company seems to be focusing more on the wireless earphones experience and is rumored to be working on the new version of the Bullet earbuds. Regarding its release date, the OnePlus 7 is speculated to come out this June. Having said all of these, it’s best to remain skeptical about all the rumors surrounding the handset regardless of the evidence that is supporting them just to be safe.